James Bennett is a 30-something-year-old from a wealthy New York banking family who, much to his father's disappointment, hasn't made anything of himself. When he's offered a job helping establish a small church in Marathon, Florida by disgraced ex-televangelist John Wainwright, he thinks he can make some easy money. Wainwright proves to be a slippery character with a knack for manipulation. James realises he's getting in over his head but the lure of Wainwright's estranged daughter becomes too tempting and he's soon entangled in a plan of double-crossing and revenge. 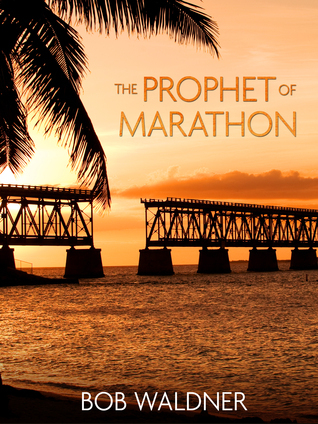 I thought The Prophet of Marathon was both entertaining and very well-written. Normally I find books written in the first-person perspective difficult to get into but this one was an exception. The story flowed brilliantly and although the plot wasn't particularly fast paced, I found it a pleasure to read. James' observations on where his life was heading and his father's lack of empathy were superbly handled and I finished the book with a great sense of satisfaction of having read a well-crafted thriller. More like this please. My thanks to author Bob Waldner for providing a copy of this book.